We are really excited to be partnering with a wonderful outfit, Babble Talks who organise daytime events where expert speakers present a topic to a room full of parents and babies in an accessible and engaging way! 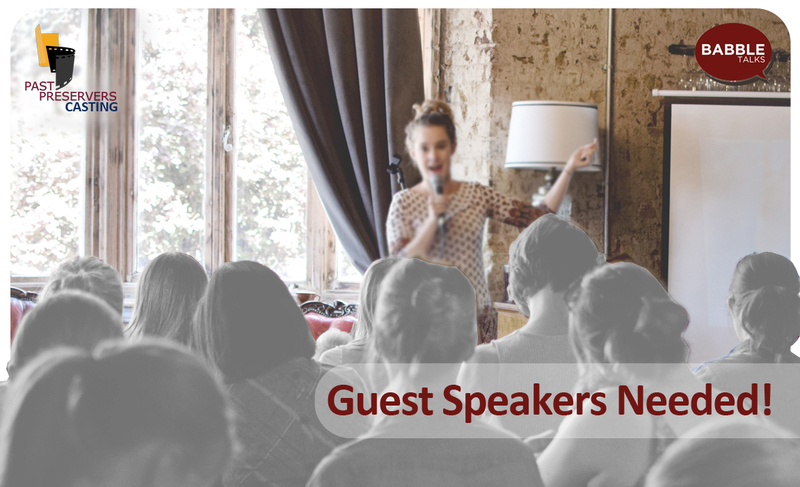 We are looking for Expert Speakers in the London area to give talks on topics they specalise in or are passionate about! More information about Babble can we found here. This is a paid booking, if you are interested please contact Past Preservers with your proposed topic.